Quiz: How much synchronicity is in your life? Looking for a flow partner? Have you ever thought of a friend, only to have the phone ring with the friend on the other end? Bumped into someone from home in a far-off place? Received money or facts you needed out of the blue? Then you know how delightful synchronicity, or meaningful coincidence, is. Have you had times when one obstacle after another suddenly disappeared? When events in your life converged in fortuitous ways? When you felt in the right place at the right time? Then you were "in the flow" and you've experienced the power of flow to move you forward. How to use fourteen techniques, including self-awareness, intuition, taking risks, and gratitude, to enhance flow and make synchronicity as natural as your breath. 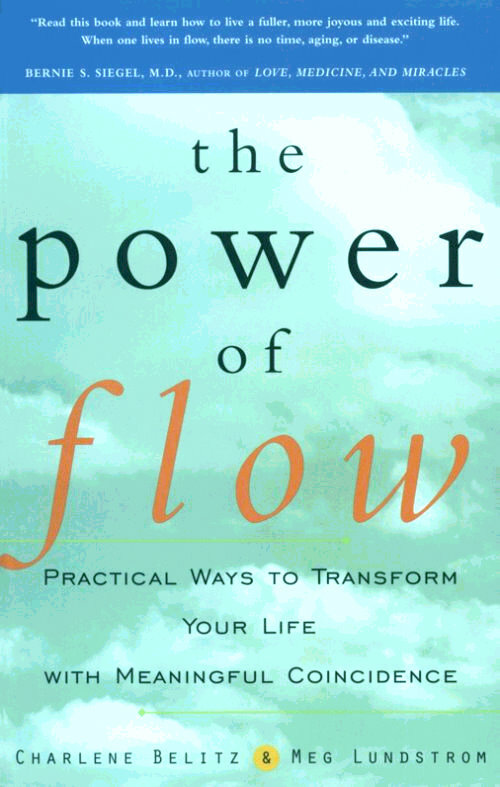 The Power of Flow has been printed in ten languages, including English, German, Italian, Greek, Japanese, Spanish, Bulgarian, Portuguese, Danish and Norwegian. It has been at the top of the New Age (General) and Christianity (General) best-seller lists of Amazon.com. Because of its firm theoretical base and practical, step by-step instructions, the book has been useful to people in many ways. * Cognitive therapists are urging their clients to read it. * Leaders in sales organizations are using it to motivate and inspire its salespeople. * Teachers are using it in college classrooms and personal growth seminars. * Church sermons are being based on its theories. * Readers have told us the book has saved their marriages, given them the wisdom to wait until the right job came along, and helped them sell real estate, among other benefits! How are you using the book in your daily life? What would you like to see on this website? All materials on this site copyright JAI 1996-2012. Please email for permission to reuse. Quiz: How much synchronicity is in your life? ~ Looking for a flow partner?